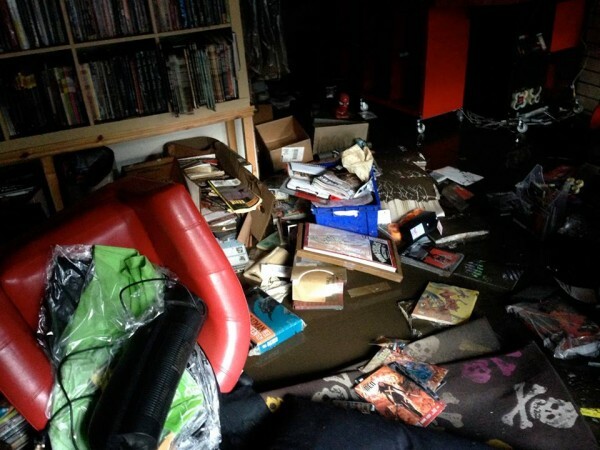 Campaign to help the independent bookshop flooded out in Hebdon Bridge…. The comic shop took a hit too…. Here’s the donations site for the Community Foundation for Calderdale; monies raised to help with the clean up in general. 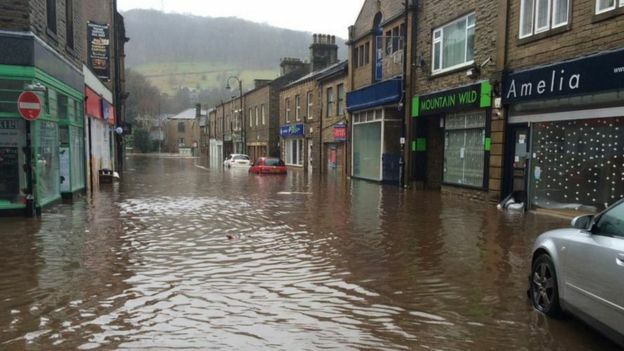 More news on the Calder Valley Flood Support facebook page. Hebden Bridge features in the Resilience Handbook as a top example of a town with independent local businesses, and nearby Todmorden (also flooded) is the home of the inspirational Incredible Edible movement…they deserve your support! The Somerset Levels have grown willow since prehistoric times; the remains of a basket were found by the Glastonbury Lake Village. Willow trees are plentiful in marshlands as they can thrive in waterlogged soils. 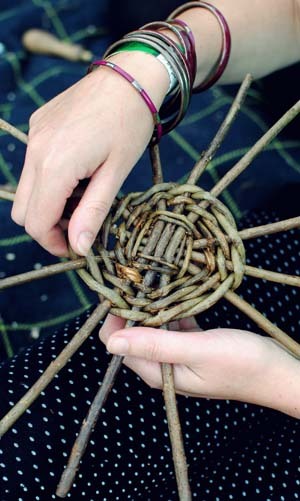 Their long flexible shoots have many uses, including furniture, fencing and fish traps. Traditional methods of pruning, or pollarding, cut the tree back to its main trunk. A shock of long straight withies springs out from the cut, and can be harvested. The trees are quite tall and have a distinctive knobby shape. Pollarded trees need to be maintained, which is difficult when the trimmings have no value. Many modern willow beds are coppiced. The growth is cut back, even to ground level, every couple of years. Material which could be used for craft products is burned as biomass fuel. Willow beds established by grant funding have no budget for upkeep. The Levels grew nearly 40 square kilometres of willow in 1930, but this has declined to a mere 1.4, mainly due to replacing basketry with disposable bags and packaging. Garden furniture is made from imported, oil based plastic and most people would struggle to recognise a fish trap. Planting willow around the banks of rivers stabilises them, and can be extended into a buffer zone. This would aid the retention of water in a managed flood plain, protecting urban land further downstream. Willow is particularly good at removing toxins from contaminated land. It could be planted straight after a major flood, but it won’t be, as no-one can earn a living from it. The decline of willow production needs to be reversed by creating a market. The storms that often accompany flooding have wreaked havoc on garden fencing. Tall solid panels which resist the wind have fallen in heaps. Woven willow fencing allows the light and air through, while affording privacy. Order some from a local willow craftsperson. It will be more expensive than cheap imported products. If you have a garden and a fence, though, it makes sense to support the farmers upstream who are preventing them flooding. Think about what else you could replace with locally sourced willow. Alternatively, find a project which needs help with coppicing and negotiate your own materials. Carymoor Environment Trust in Somerset have a volunteers’ day every Tuesday.